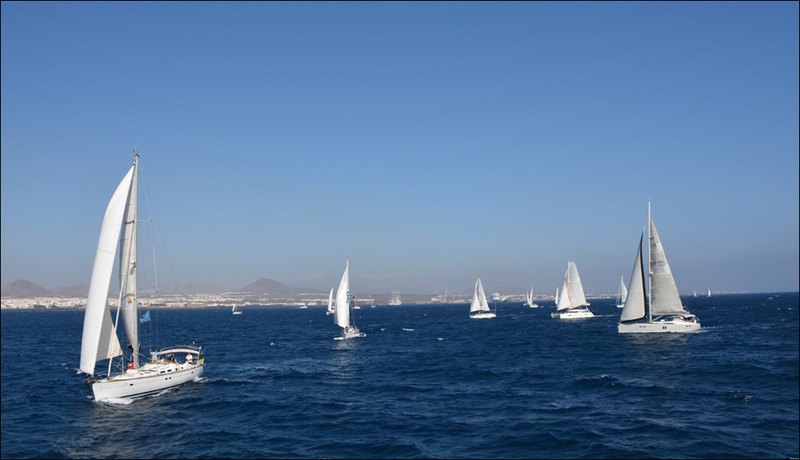 Perfect weather conditions with the northeasterly winds blowing at 12 to 15 knots saw the 38 Atlantic Odyssey boats take the start from Lanzarote. In spite of the Atlantic Odyssey being a non-competitive event, several skippers tried hard to be first across the start line with Australian Alba with German Invictus hot on its heels…. The only boat not able to take the start was Meli Melo but will follow soon. There were a few last-minute withdrawals due to technical problems but with the option of joining the Atlantic Odyssey II in January, some will be able to cross the Atlantic later in the season. 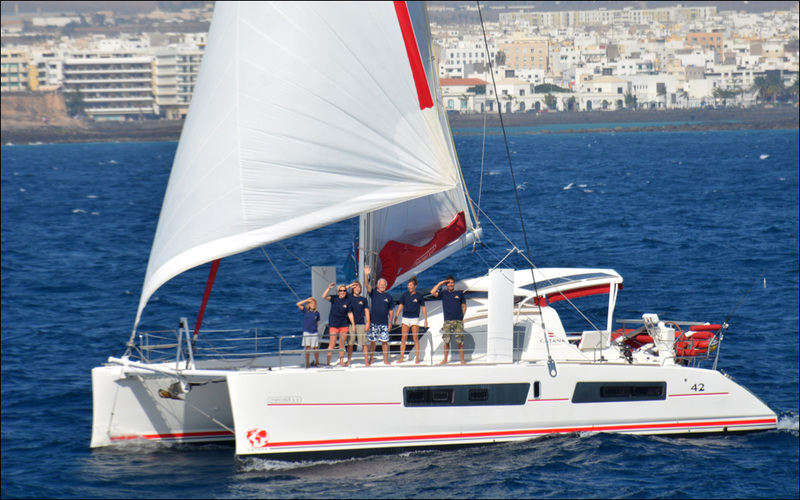 2015 sees the Atlantic Odyssey enter its third year, with an increase on entries year on year showing this original concept has hit a chord with cruising sailors. 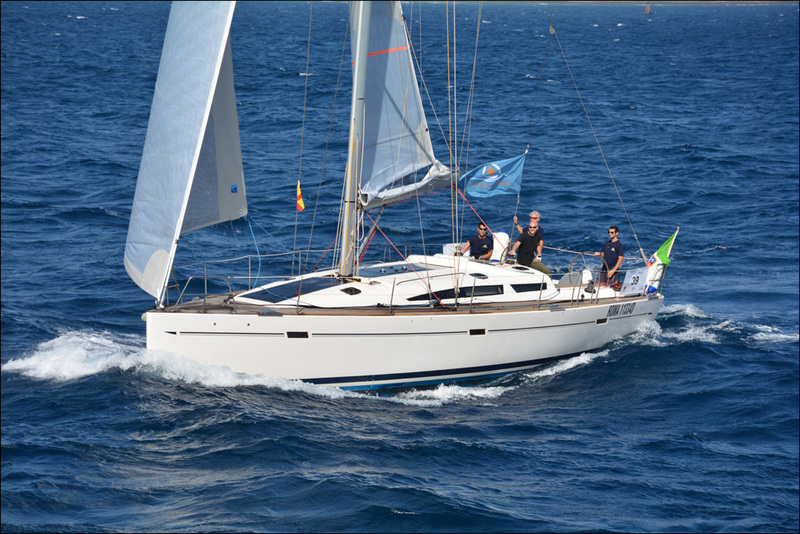 Spotting a gap in the market is Jimmy Cornell’s speciality ever since he conceived the Atlantic Rally for Cruisers nearly 30 years ago which saw more than 200 yachts cross the Atlantic. 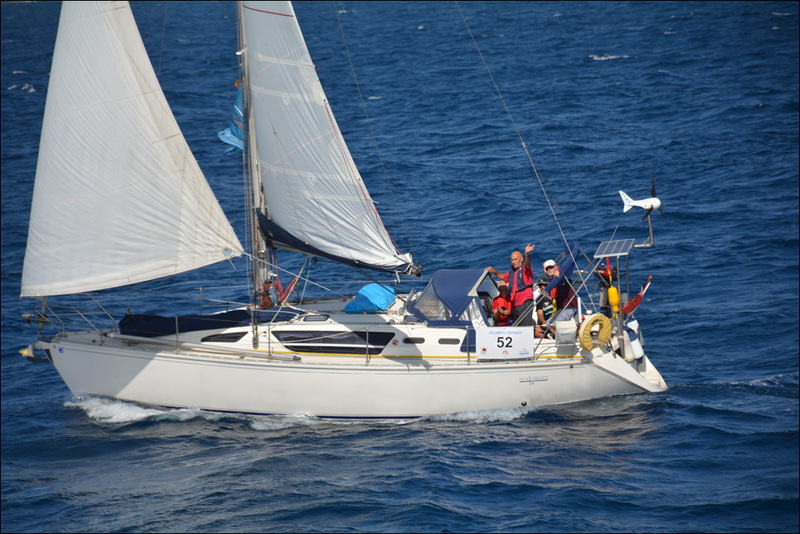 Times have changed and the need for a small scale, friendly event prompted Jimmy to come out of retirement and launch the Atlantic Odyssey in 2013. 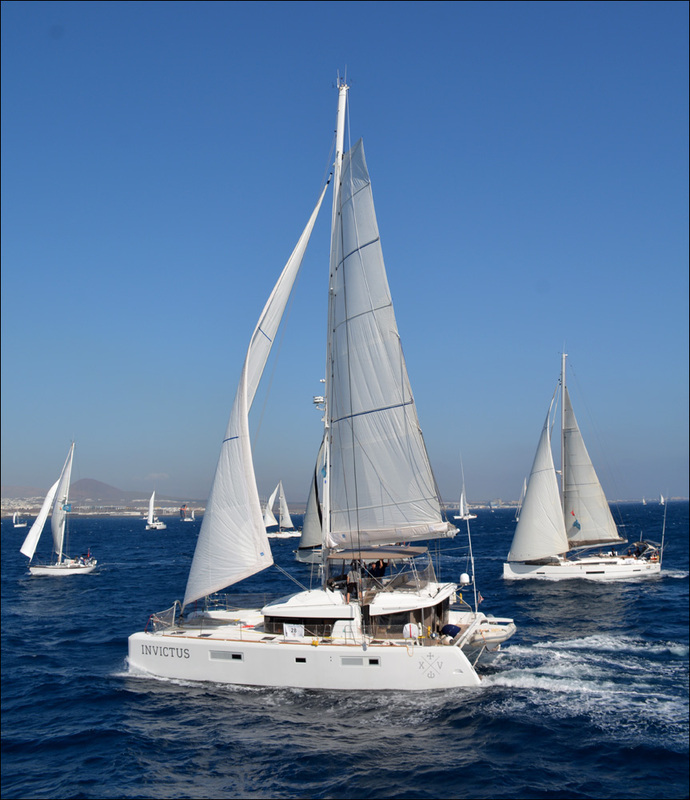 Meanwhile the twelve yachts taking part in the inaugural Islands Odyssey have left the Canaries bound for the Cape Verde and Barbados, after spending a memorable month cruising through the seven islands of the Canarian archipelago. 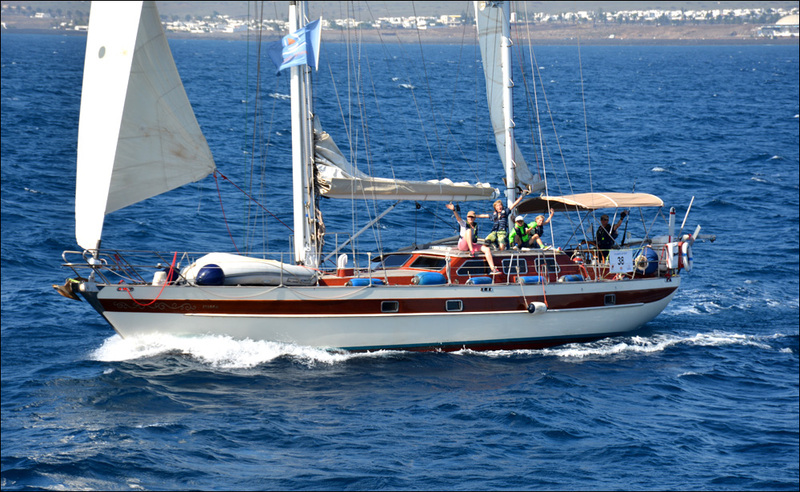 The Islands Odyssey is a pilot for an even more ambitious event for 2016 when the Barbados 50 rally, sponsored by Barbados Tourism, will commemorate the 50th anniversary of Barbadian independence by sailing a historic route from London to Barbados via West Africa and the Cape Verdes. 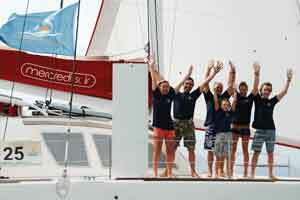 The Atlantic Odyssey is sponsored by Calero Marinas and the Tourist Board of Lanzarote. The Martinique sponsor of the Atlantic Odyssey is the Regional Council of Martinique. 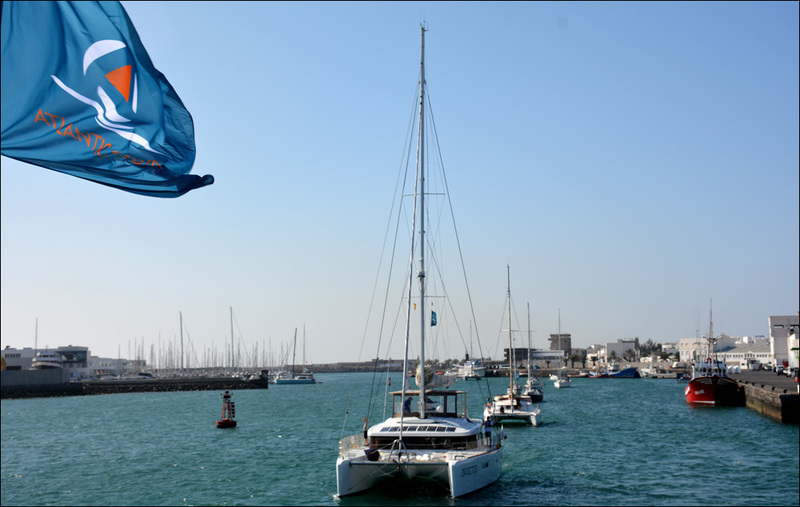 While in Martinique, the Atlantic Odyssey will be hosted by Marina Le Marin.